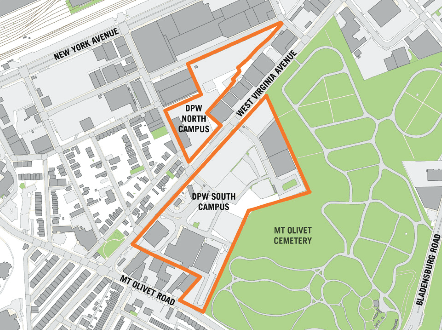 Here is a great opportunity for community members to voice their opinions on a major District development project on West Virginia Ave just north of Mt. Olivet Road. Here is the message from the District Office of Planning. Have some fun with TNA this summer and get an inside look at a local business. 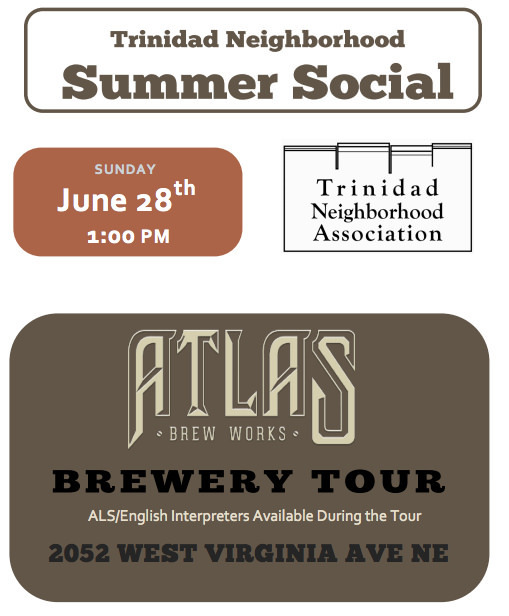 Come out to Atlas Brew Works on West Virginia Ave in Ivy City on Sunday June 28th for an inside look at the brewery, sample some beer and socialize with your neighbors (21 & up only). Festivities start at 1pm. We have ASL/English interpreters from Access lined up for the tour and there should be a food truck on site as well. A big thanks to TNA member Rokas Reipa for coordinating this event with Atlas Brew Works. The Transformation of West Virginia Ave? 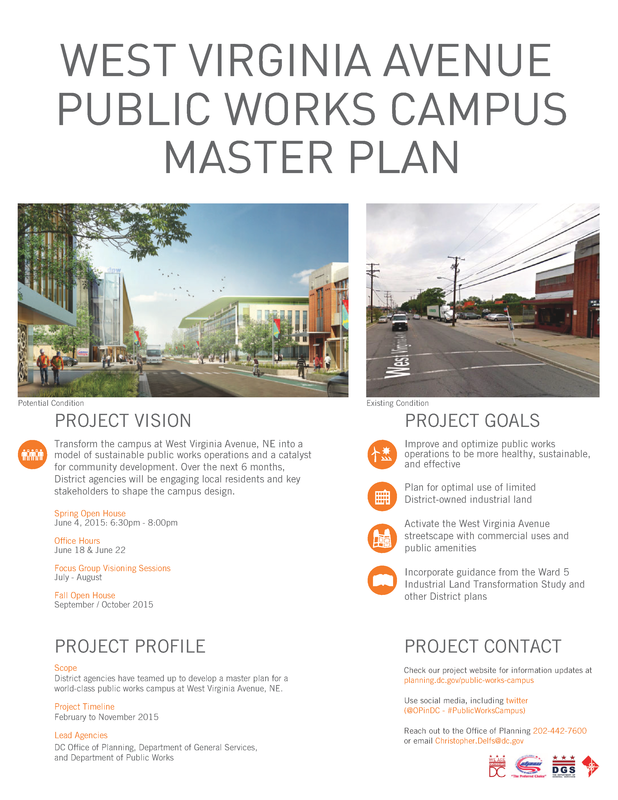 On June 4th, the Office of Planning held an open house introducing the public to the West Virginia Avenue Public Works Campus Master Plan project. The District’s vehicle maintenance, re-fueling and parking facilities along West Virginia Ave between Mt. Olivet Road and New York Avenue is set to be transformed “into a model of sustainable public works operations and a catalyst for community development.” Over the next 6 months there will be various opportunities for the public to contribute to the process, including open office hours, focus group visioning sessions and another open house in the fall. The DC Office of Planning has invited the Trinidad Community to learn more about the future of the fleet management facility located at 1825 West Virginia Ave NE. The meeting is on Thursday June 4th at 6:30pm at the Trinity Baptist Church, 1814 Central Ave NE, in Ivy City.